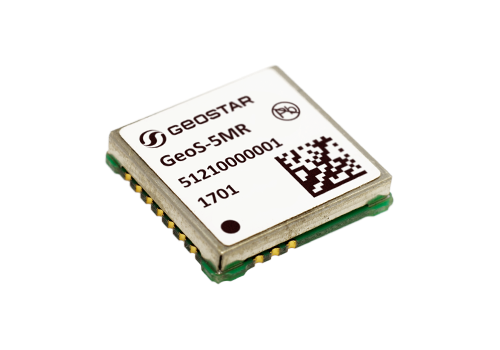 The GeoS-5MR is an option of GeoS-5M module with capability to output full carrier phase measurements. Such measurements allow using GeoS-5MR in precise carrier-phase differential positioning. Communication with the module is accomplished through a dual serial interface (DUART) that supports NMEA 0183 v4.10 and the proprietary binary data protocol. 1PPS output enables the use of the module in precise timing applications. Modules are offered in 14.3x13.7 mm 24-pad LCC package.